These glow in the dark products glow out light only after they absorbed enough light. So please make sure that you have put these jewelrys under the light to absorb light before you enjoy their light in the dark. The longer they exposed, the stronger they glow. 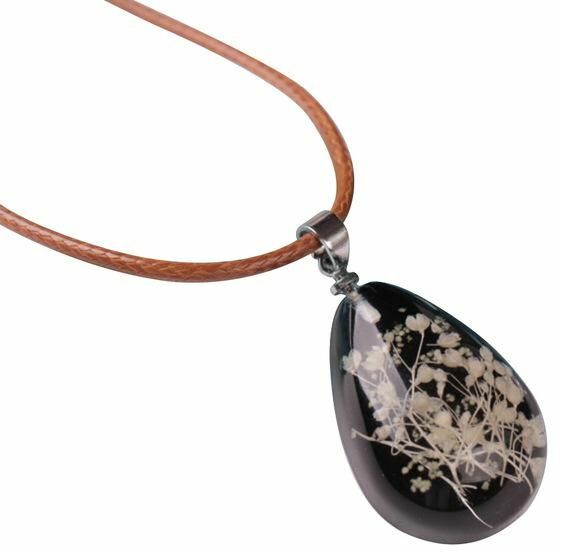 Beautiful dried flower with teardrop pendant, eye-catching and charming. Add a feminine touch to your outfit with this necklace.